Just after launching the HTC One (M8) and the sub Rs.10000 HTC Desire 210, the company has also launched the recently announced phablet – the HTC Desire 816. The HTC Desire 816 is a mid-range phablet which has design cues from the flagship HTC one. The device sports a 5.5 inch display with resolution of 1280 x 720 pixels. The smartphone is powered by the quad core Snapdragon 400 processor clocked at 1.6 GHz along with 1.5 GB of RAM and 8 GB of internal storage. The handset has dual SIM support with 3G connectivity. 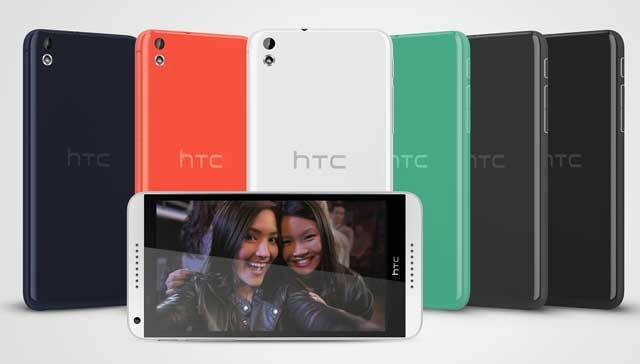 The HTC Desire 816 features a 13 MP rear facing camera with f/2.2 sensor and LED flash. There is also a front facing 5 MP camera. The phone runs on the latest Android KitKat version but with a layer of the HTC Sense 5.5 UI. The handset is priced at Rs. 23990 and is available in Black, White, Red, Green and Purple colours.